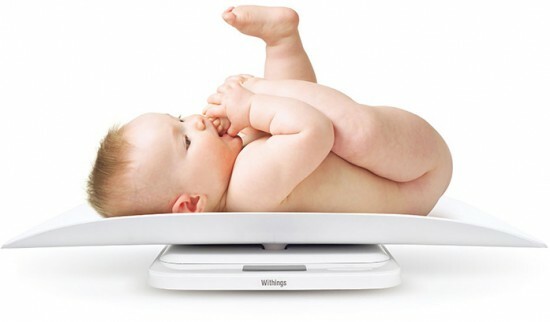 Would you be able to live without your scale? If I put you on a workout and eating plan for 30 days and told you that you could not weigh yourself, would you be able to do it? A lot of people in our 30 day flip program struggle with not being allowed to weigh themselves for 30 days. Has this little devices that sit on your bathroom floor taken on a massive role in your day to day life? At some point in time our scales have become a digital morality compass on which we stand every morning to receive our verdict. There you are a NEW day ahead of you holding your breath until that number reveals what type of mood you are going to be in today! The worse is you could have been a “saint” narrowly avoiding the birthday cake in the lunch room yesterday but if that scale does not budge you are immediately stripped of your sainthood. You have done something “WRONG” and with a frustrated shrug of the shoulders and a few choice words you step off the scale carrying an even greater sense of weight, torment. It is time to start asking some questions about your relationship with that pesky friend the scale. The one you are so oddly attracted to and despite your years of wrestling and quarrels you have never let go of this dysfunctional relationship. When did we start using the scale as a compass for what to eat or NOT to eat? Well remember when you were a kid do you ever remember overhearing the adults say “oh my kids can eat whatever they want and not gain a thing” OR “I do not know where they put all that food they must have a wooden leg”. Our society is hyper sensitive to the relationship between food and weight. It often seems like the only conversation we have when it comes to food and our health. Our society believes a lie. If you are not overweight your food choices are healthy or good. If you are overweight your food choices are unhealthy or bad. Why did my hotel room at a recent fitness conference I attended have a SCALE in it? I cannot even take a vacation from my scale anymore. Whether my kid is struggling with their weight or not, FOOD has way greater consequences than weight. Why has weight become our measuring stick for a healthy life? Food can have a far greater impact on the things that really matter in this life. Like energy levels, mental capacity, attention span, and emotional health. All of which cannot be measured on a scale. Have we perhaps become hyper focused on the longer term consequences of poor food choices? That we are missing the impact my food choices today can have on me today! How much longer are we going to allow the scale to act as our moral compass? How much longer are we going to teach our kids that food choices should be solely based on whether a particular food makes you “fat” or “skinny”? Being hyper focused on weight does not seem to be helping the obesity epidemic. It is time to celebrate non scale victories and talk about all the HEALTH issues good quality food can HEAL. Yes food heals. Food restores. Food nourishes. Lets talk about what we are FOR not what we are against. When our 5 year old ask “hey Dad is this good for me?” I will tell him how the food will make him feel today. Then let him decided if he wants to feel that way. “Well that apple is going to make your tummy feel good, it is going to give you energy to jump on the bouncy castle and it is going to help you learn at school. At our dinner table there is a lot of muscle flexing that goes on. As we feel how strong we are getting as we eat certain foods. Weight is never a topic. Neither is food morality. Food does not make you good or bad. We really do not make a big deal out of it. As a result our kids do not either. How many times has the scale thwarted your plans to get healthy? How many times has it made you give up? I am not saying to never measure this component of fitness I AM SAYING stop using it as the ONLY thing you feel like you can never measure up to. The more you feel like you NEED the scale the LESS you should be using it. It is simple the more REAL food you eat the more UNREAL you are going to feel. Whether you are standing on a scale or not your body has a way of balancing these things out so get out off the scale and get into the kitchen for some food that is going to make you feel GREAT today!